As you start to think about your next family vacation and where to go in 2017, take a look at these unique destinations. Each one offers a plethora of memorable experiences, ranging from horseback riding in the Rocky Mountains to watching the 2016 World Series-winning Cubs play in Wrigley Field. Some destinations, like South Dakota, are celebrating anniversaries, while others, like Scottsdale, are celebrating unique topography (think all things desert). No matter which destination you choose, you and the kids are in store for a true family adventure. One of the best-kept secrets in the Old West is Grand County, Colorado, located 90 miles from Denver. It has none of the stress of a city, but all the options of a world-class Colorado destination, including wide-open spaces (70 percent of the area is protected lands) and breathtaking Rocky Mountain scenery. Its uncrowded lakes, rivers, forests and mountains are great for hiking, biking, and boating. If fishing is your thing, there are 20 miles of Ã¢â‚¬Å“Gold MedalÃ¢â‚¬Â trout streams, great to teach kids the craft while ensuring many opportunities for a catch. Plus, if your family is into horses, this is the spot. The area features more than 600 miles of trails and four world-class dude ranches that offer junior cowboys-in-training programs. In fact, it"s considered the Dude Ranch Capital of the West! The dude ranches are: C Lazy U Ranch (known for its extensive recreational activities); Drowsy Water Ranch (nestled in its own private mountain valley on 900 acres); Latigo Guest Ranch (which is secluded and small; 35-guest maximum); and Bar Lazy J Guest Ranch (the oldest continuously operating guest ranch in Colorado). The Windy City is not only an amazing place for families, but the fact that there are so many FREE options make it a budget-friendly, yet world-class destination. FreeÃ‚Â family-friendly activities in Chicago include: Lake Michigan beach (a beach right in the city! ), the Lincoln Park Zoo (which puts on an amazing holiday light and sculpture display in winter), the world-famous Art Institute (kids under 14 are free) and the Chicago"s Children"s Museum (free admission for kids 15 and under on the first Sunday of each month). Plus, there"s a free concerts and movies at the park series from May to September. In addition to all the free things, Chicago offers a plethora of great options for the family, including the Field Museum, Adler Planetarium, Museum of Science and Industry, Shedd Aquarium, architectural river cruise tours and observatories at Willis Tower and John Hancock Tower. Segue tours around the various neighborhoods are a big hit, as well as all the sports options (Cubs, White Sox, Bulls, Bears, Fire, Blackhawks - take your pick). If you want something exotic without leaving the country, Hawaii Island (also known as the Big Island) is your place. Boasting 10 of the world"s 14 climate zones, Big Island (officially named Ã¢â‚¬Å“Island of HawaiiÃ¢â‚¬Â) has a plethora of one-of-a-kind attractions like the Ocean Rider Seahorse Farm, which is the only place in the U.S. where kids can actually touch a seahorse. If stargazing is your thing (and with such beautiful skies and an absence of light pollution, this is the ideal place to do it), take part in the Star Gaze Hawaii tour, which is celebrating its 25th anniversary in 2017. Kids can learn about astronomy and view the cosmos with expert guides. Hawaii Volcanoes National Park continues to be an epic stop for families looking for adventure. Whether they"re interested in hiking any of the 150-miles worth of trails in the park or seeing lava glowing from a crater, this park has a diversity found nowhere else. Plus, there"s fluming (unique to Hawaii), zip-lining and swimming with the manta rays. Visiting South Dakota this year is especially fitting since Crazy Horse Memorial celebrates its 70th anniversary in 2017. Work on this massive piece of ecological history started in 1948 and when it"s complete, Crazy Horse Memorial will be the world"s largest mountain carving, standing 563 feet high and 641 feet long. Families can tour the Indian Museum of North America and Native American Educational Cultural Center, located on the Crazy Horse grounds. Other family activities in the state include exploring the unique landscape of Badlands National Park, which features a maze of buttes, canyons, pinnacles, and spires, a result of millions of years of wind and water erosion. Families can visit the park"s 244,000 acres and view a wide range of animals, like bison, prairie dogs, coyotes, eagles and hawks. If you want to see animals even closer, be sure to hit State Game Lodge at Custer State Park, where families can take a buffalo safari jeep ride to get up close with the herd of 1,300 bison that roam the park"s 71,000 acres in the Black Hills. If you"re looking for a digital detox, Mendocino County is just the place. There"s plenty to do here, including great hiking, train rides, kayaking, whale watching, and beach adventures. For something unique, visit the Point Arena Lighthouse, the tallest lighthouse on the West Coast; you can even have an overnight adventure by staying at the historic Lighthouse Keeper"s homes. Another great outdoor adventure for families is the California Ten Mile Coastal Trail. Marvel at the world"s tallest trees while driving through the 276-foot Chandelier Tree or meandering through the redwood forests aboard theÃ‚Â Skunk Train, then head to Fort Bragg to explore the sea glass-covered wonderland ofÃ‚Â Glass Beach. There"s plenty to keep your family busy. There"s more to the Finger Lakes than wine! There are tons of experiences to explore in the Finger Lakes with kids, including the Strong National Museum of Play--the country"s only museum dedicated to play! Other great museums include the Corning Museum of Glass, the Museum of Science & Technology and the SciencenterÃ¢â‚¬â€each offer interactive activities for children and families. If you want to teach the kids to ski, you"re in for a treat. The Finger Lakes is an under-the-radar ski destination with two main ski resorts (Greek Peak Mountain Resort and Bristol Mountain) and three smaller mountains. This makes for a less crowded, less expensive option for those kids just learning the slopes. And both ski resorts are located near Hope Lake Lodge, which features an indoor water park that"s perfect when it"s time for a break from the slopes. If you"re visiting in warmer weather, go glamping with your kids in one of the most beautiful spots in upstate New York. TheÃ‚Â Firelight CampsÃ‚Â glamping experience atÃ‚Â La Tourelle Resort & SpaÃ‚Â offers the chance to explore the resort"s 70-acre property, ending at Ithaca"s famous gorge waterfalls. You and the family can embark on a wild foraging adventure followed by a hands-on feast. You"ll sleep in a safari tent complete with campfire and marshmallow roasting. At just 42 square miles, Hilton Head Island may be small in size, but it"s huge on family entertainment. Home to more than 20 golf courses, 250 restaurants, 350 tennis courts, miles of sandy beaches and trails, lagoons, and tons of water sports (like kayaking and paddle boarding), it's a spot the entire family will enjoy. It's also a wonderful escape from the craziness of everyday life, as the legendary Lowcountry destination has a truly relaxing and timeless feel to it. You"ll feel the stress of every-day life melt away the moment you step foot on the island. This Midwestern gem has plenty to do and see including visiting Potawatomi State Park,Ã‚Â where families can take a relaxing hike with a park ranger and learn about the flora and fauna of the area. Go on a Wetlands Kayak Tour and explore native wildlife or take an Adventure Rafting Boat Cruise around to the hard-to-reach sights in Door County. Hike Eagle Trail at Peninsula State Park, which boasts remarkable 150-foot cliffs, springs and forested terrace. Or bike the Sunset Trail at Peninsula State Park; this easy 10-mile bike path leads you through all types of landscape. With 300 miles of shoreline, there"s plenty of family fun to be had. This southwestern town is chock-full of desert adventure. At Pueblo Grande"s Dig It: Explore Archaeology exhibit, your kids will see first-hand what it"s like to study clues from ancient and historic sites, and in the process, they"ll get a great history lesson. Or take your adventure off the ground and get a bird"s-eye view of the Sonoran Desert from the basket of a hot-air balloonÃ¢â‚¬â€a top attraction in Scottsdale. If you want to explore cacti up-close-and-personal, take a jeep tour through the Sonoran Desert with a knowledgeable guide; she or he will explain how the plants and animals make this desert one of the world"s most delicate ecosystems. You"ll travel to some of the Sonoran Desert"s most remote areas and see sites like abandoned mines, ghost towns and ruins of ancient civilizations. The kids will love the gold panning. The young"uns won"t soon forget being a desert detective at the botanical garden, either, where will follow clues to learn how these unique plants and animals have special survival tactics to endure the heat. 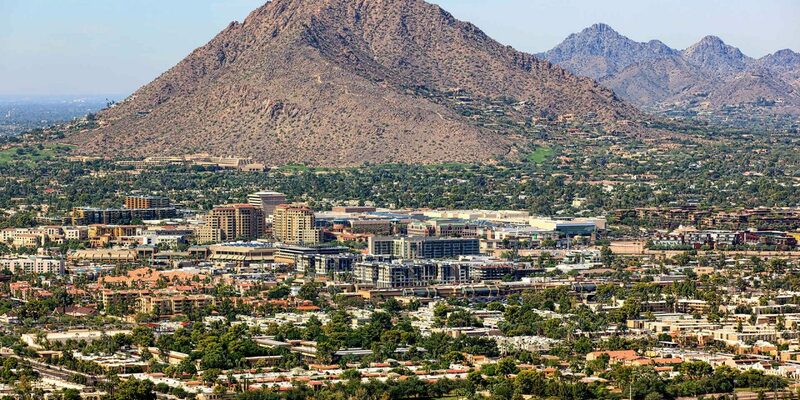 Scottsdale is truly a unique ecosystem and destination. 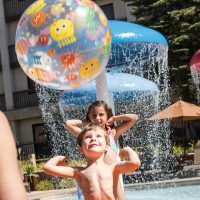 Plus, it offers a plethora of destination resorts with stunning pools, onsite restaurants, kids" programming and more. Nestled between Jacksonville, Florida and Savannah, Georgia is Jekyll Island, surrounded by picturesque marshes and miles upon miles of oceanfront. In 2017, this pretty coastal getaway is celebrating the 10th anniversary of the Georgia Sea Turtle Center. Kids will learn about conservation by interacting with sea turtles undergoing the rehabilitation process in the center or by doing a night walk to see these peaceful creatures in their natural habitat. Of course, there"s plenty more to do on the island, including trolley tours, a fun way for families to get insider history about the island. If the weather is warm, be sure to hit one of the island"s five beaches, including the famous Driftwood Beach. If you want to interact with more wildlife, there are birding tours (they make it fun for kids), dolphin boat rides and horseback riding. Plus, there"s all the fun associated with a beach vacation: kayaking, paddleboarding and simply playing in the sand.